This week over at Jenny Matlock's Alphabe-Thursday we are studying the letter "L", as in lavender. I think just about everyone loves the aromatic floral scent, don't you? The color lavender suggests refinement along with grace, elegance and femininity. Purple and its lighter shades have an almost sacred place in nature. I think lavender, orchid, lilac and violet flowers are all so delicate. What better way to reduce stress then to light a lavender-scented candle after work, or mist your bed sheets with a lavender-scented spray. As an herb, lavender has been used for over 2,500 years. 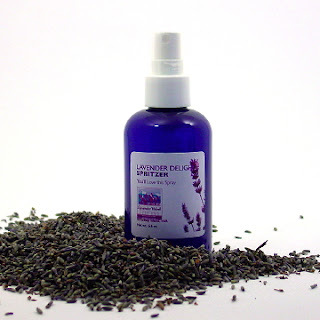 In ancient times lavender was used for perfume by the Egyptians and Phoenicians. Romans used lavender oils for bathing, cooking and scenting the air; hence the Latin root (lavare - to wash or livendula - livid or bluish). Lavender sugar is delightful sprinkled on fresh berries and in tea. The sugar carries a light flavor and smells heavenly. I will be giving away a fresh jar of lavender sugar to one lucky individual! To enter to win you must be a follower of my blog and leave a comment on this post by Tuesday, February 14, 2012. I will select a winner on Wednesday, February 15, 2012 using random.org and will give the winner 48 hours to contact me via email. My word this week for Jenny Matlock's Alphabe-Thursday is lovely lavender. I am also linking with Mary at Little Red House for Mosaic Monday. Thank you for spending a little time with me today. Love lavender! I have a few plants in my flower garden. I enjoy bringing some in to dry. Thank you for sharing the information, so interesting. Beautiful mosaic and interesting facts. I like to put on some lavendar cream at bedtime so I can smell it as I fall asleep. Hi Donna, Thanks for stopping by and your sweet comment on my Frosty Morning post. I would love to win the lavender sugar. Lavender is my favorite fragrance. I have a lavender plant in my garden and dry some each year. Your blog is beautiful. I am following you now. un blog particolarmente raffinato!.... grazie per tutte queste interessanti informazioni su questa meravigliosa pianta dal bellissimo profumo inebriante e delicato che io amo in particolar modo. hi donna lavender smells great. I did not know that it helped agains stress. Ahhhhhhhhhhhh lavender... love it and just looking at your beautiful photos de-stresses me! Hi Donna, I love lavender, the smell is very relaxing. My little granddaughter gave me some lavender sugar for Christmas. I never thought of using it in tea! I have also heard that deer and elk won't eat lavender, so I am thinking about planting some this spring. It's hard to find plants that can survive out here. The deer think everything I plant is part of an ongoing salad bar just for them! I can smell the fresh fragrance of Lavender from here! Lavender has such a lovely fragrance. A few more months and there will be some blooming in my garden. Thanks for popping by my blog today, Donna. Your lavender is much prettier than my dresser! What a lovely post. I love putting lavender in my goat's milk soap. I love to get into bed and spray some lavender water on my pillow case. I swear that it helps me sleep. I'm not sure why but I've never warmed up to the lavender scent. I'm more of a citrusy gal. I love taking pictures of it though. Lovely lavender post. Reminds me of my mom who used to keep lavender in the linen closet. The images you used are lovely too! I've always loved lavender. One of these days I'm going to use the culinary lavender in my spice cabinet to make lavender shortbread. Your lavender photo collage is lovely. Donna, another lovely and informative post. I must try lavender on my daughters pillow at night, as she has trouble shutting down (and she is only 17!) I have never heard of lavender sugar. It is such a relaxing scent. I had tough class one year and one of the moms gave me a small bottle of lavender for Christmas after going on a field trip with the class. She said I was going to need it to make it until summer. Donna~ this is just what the doctor ordered! I am happy to meet you, thanks for coming by....I am now a follower, Love your blog and can't wait to see a lot more of it. Please enter me in your giveaway, I love lavender, too! And I'm also following you on Pinterest, we have a lot in common! I feel refreshed already! You take the best photographs.... I really am craving are those cupcakes or a scone of sorts? Yummy looking the third below it too...just incredible all of it! Lavender and lilac...two of my favorite colors! Your photos are absolutely lovely in this post. My daughter and I ordered a salad last week and it came with lavender in it. It was really different...I still haven't decided if I liked it or hated it! Thanks for such a luscious post for the letter "L". I've grown a dahlia much like the one in your mosaic and it was one of my favorites! Mmmmm. Lavender! I love the aroma. It's been a long time no see you. Im one of your old follower on your blog. Your give-a-way is Beautiful sweet lady. I love Lavender hope I win ! I hope you have a wonderful and Happy Valentines Day with your family. Your Blog look also Beautiful. I will put your Butting on my sidebar also. I love the color of Lavender and the smell! Makes me think Spring is coming! 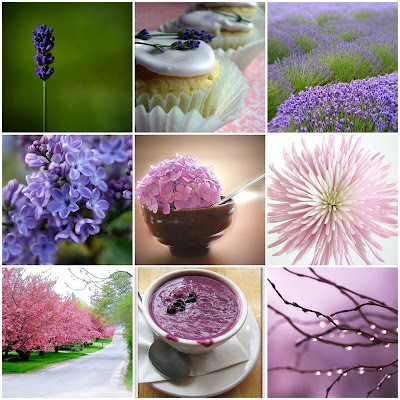 Lavender is a lovely and refreshing and so is this interesting post...most enjoyable !!! 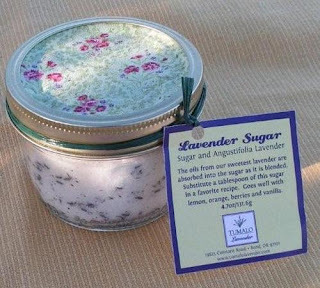 Donna, Your lavender sugar sounds wonderful. What a wonderful idea. Donna I love lavender and am lucky enough to have 2 lavender farms close by. My favourite thing is to spray lavender linen spray on my bedding . I swear it makes me sleep better.